Designed to be a simple platform for you to get up and start logging miles on, the Saucony Ride 10 Running Shoe is the perfect pick for first timers or anyone looking for simplicity. The Engineered Mesh Upper is designed to keep weight down and breathability high, while the woven section at the heel provides additional support and protection. The EVERUN Topsole under your feet is a special material that provides reliable cushion in every step with a surprising amount of energy return, and the TRI-FLEX outsole allows for natural foot movement and improved traction. "Is this a goretex shoe and do you have a saucony goretex shoe for road running"
"Thank you for your inquiry. 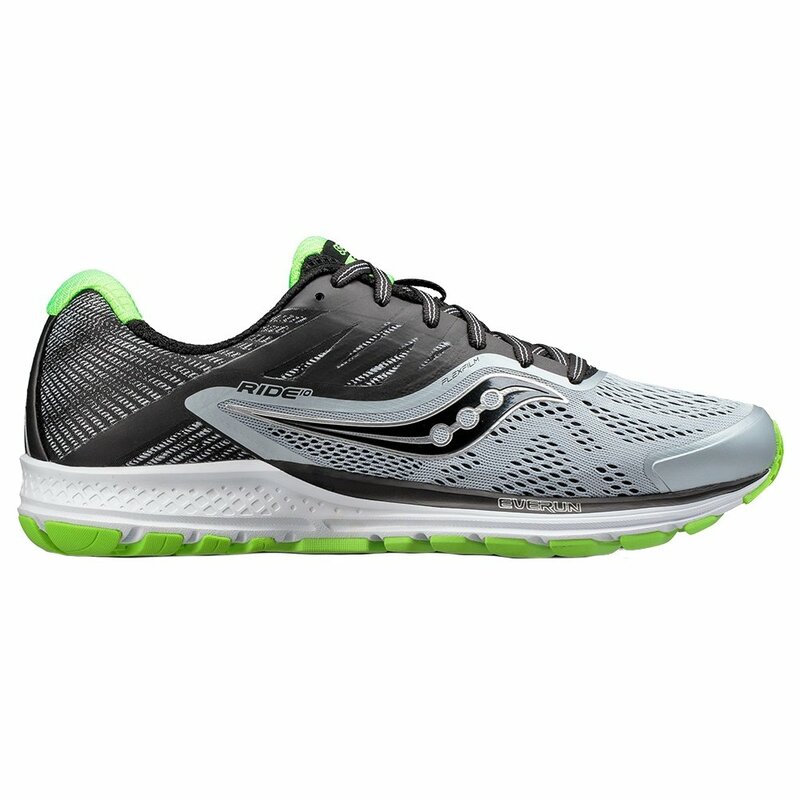 The "Saucony Ride 10 Running Shoes (Men's)" is not a GORE-TEX shoe and at this moment none of our Saucony line of running shoes come with GORE-TEX. If you would like to see running shoes that include GORE-TEX we suggest the following two men's shoes: Salomon OUTline GORE-TEX Trail Running Shoe and Adidas Terrex Agravic GORE-TEX Running Shoe. We hope this answer helps with your Peter Glenn selection and purchase."